(NaturalNews) I've just posted a new mini-documentary (15 minutes) called "Blaming Trump." 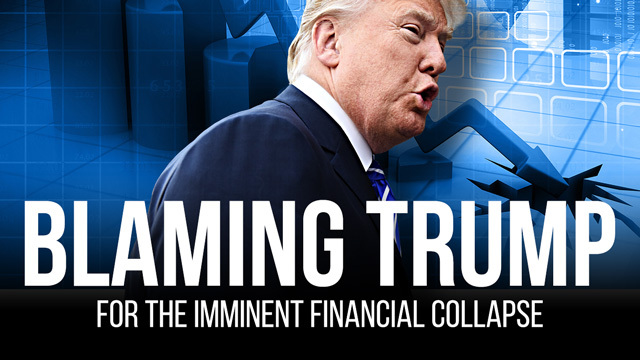 It reveals how anti-American globalists plan to use a Trump election victory to orchestrate a massive, global debt collapse to be blamed on conservative ideology. You can view the new video at this YouTube link (until they ban it). In the video, filmed weeks ago, I urge Donald Trump to investigate and arrest traitorous, anti-American, radical leftist operatives (like Hillary) -- something Trump announced he would do in the second presidential debate just two days ago. In the video, I also urge Americans to be ready to go bat for Trump as he wages war against the corrupt political class. If Trump wins the White House, in other words, that's when the battle merely begins. From that day, the Clinton-controlled mainstream media will wage an all-out assault to attempt to discredit and destroy the Trump administration. It's going to take a concerted, nationwide grassroots patriotic effort to support Trump's effort to dismantle the criminal government cartel that has been systematically constructed by Obama, the Clintons, the DNC and the corrupt leftist media. Watch the entire mini-documentary here, then share with everyone. Stay informed at NewsTarget.com or Trump.news.